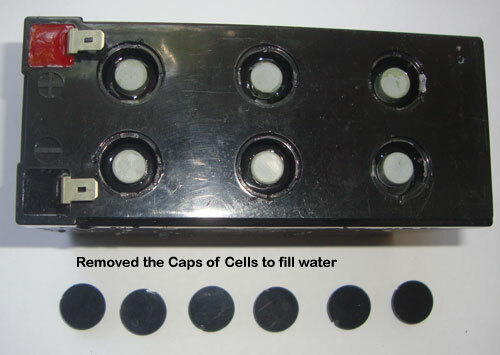 On the top of the battery , you can see either circular cap for individual cells or a complete cap over the all the cells. Carefully remove that. 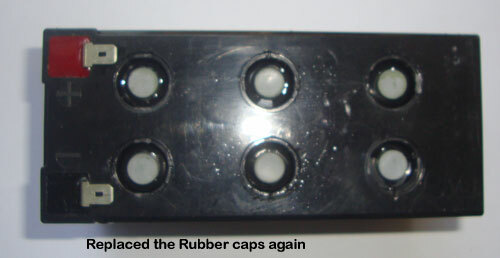 Take utmost care while removing the cap. 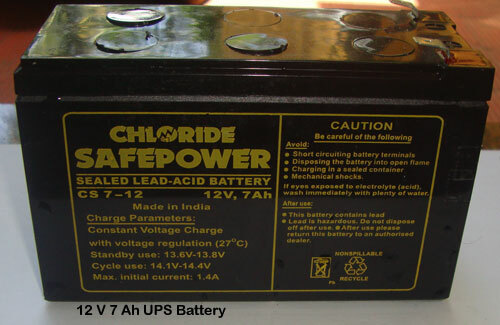 Caution : There is chance for spilling the electrolyte, if there is gas inside. 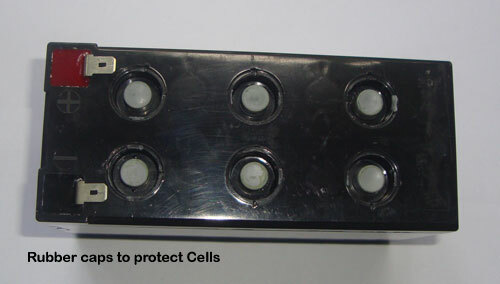 So protect the eyes to avoid spilling on the eyes. Wearing a Spectacle is a good precaution. 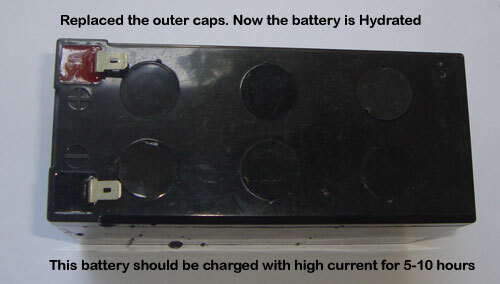 While removing the cap, face should be away from the battery. Do these precautions throughout the process. 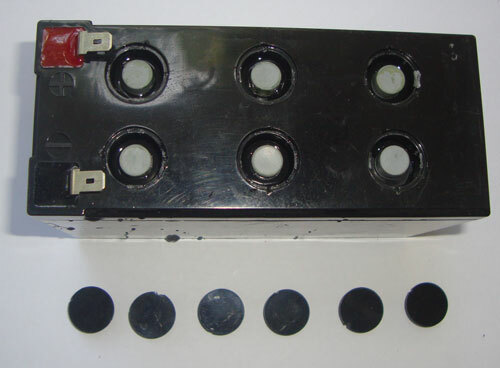 Use a small screw driver to remove the caps.The metal screwdriver should not short the battery terminals. It may cause spark and injury. 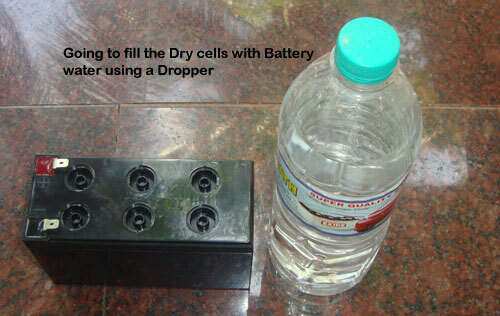 While filling the water in the cells using a dropper we face a problem. Bubble appears and we feel that, the cell is full. 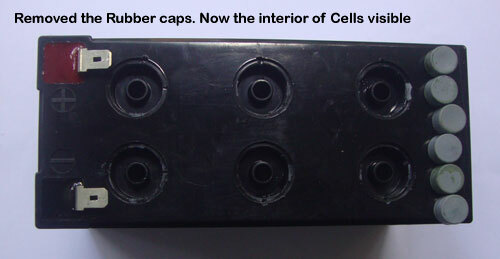 puncture the bubble using a pin. Again fill. It takes more than 200 mA current initially for charging. 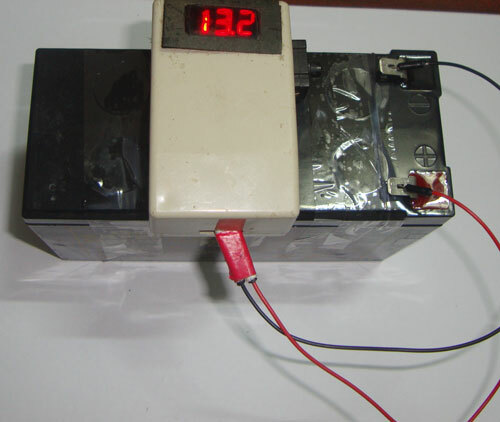 Keep in it the charger for 6-10 hours.Battery terminal voltage rises to 12.8V. Then fix it in the UPS. 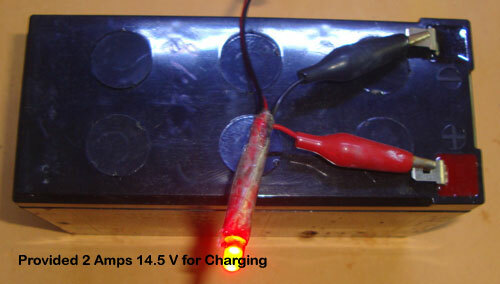 After 6 hours of charging, the Terminal voltage of the Battery raised to 13.2V. Kept the battery for few hours without connecting in the UPS. The Terminal voltage is steady . It is not going down.